Perhaps you, a member of your family or someone else you know is looking for their first car? *Excesses, limits on age, convictions/claims apply. Telematics Box, consent to Data capture and transmission required. Insurance subject to cancellation for four warnings for poor driving. Motor insurance is provided and underwritten by U K Insurance Limited. WHY CHOOSE JUST ADD FUEL® TELEMATICS? Peugeots are packed with innovative technology and safety features which, according to version include Active City Brake, Lane Departure Warning and ESP with Hill Assist. Helping you stay safe. With your major motoring costs covered, including three years’ insurance and servicing, you can enjoy hassle-free motoring with no nasty surprises. Just enter your age, postcode and click to view. 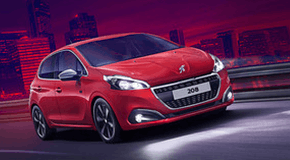 Build your ideal Peugeot and see the monthly payment update in real time. Then you can place your order easily online or at your preferred dealership. What is Just Add Fuel® finance with Telematics? Our Just Add Fuel® finance package is now available to drivers from age 18 (and to those without two years' No Claim Discount) with the simple addition of a telematics device. This means you could be driving a brand new Peugeot every three years and be covered with three years of motor insurance (for up to three drivers), servicing, roadside assistance, warranty and car tax, all for one monthly payment - you just add the fuel. Will I get a telematics device to install into my car? 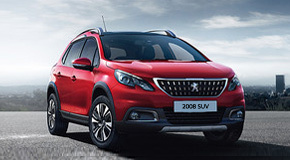 You will get a telematics device via post once you have set up your Peugeot Just Add Fuel® Telematics Insurance policy. 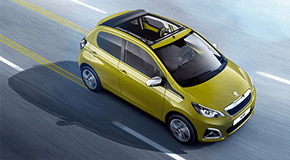 If you have ordered a Peugeot 108 then this device can be self-fitted. Other Peugeot models available through the Just Add Fuel® Telematics package will require the device to be installed by an engineer. How soon are cars available? You can see the lead time of your chosen Peugeot online once you've selected your car and preferred dealer. Lead times at dealers may differ as they may have your brand new Peugeot in stock. Can the deposit amount, annual mileage and contract length be altered? The deposit amount and annual mileage can be altered when configuring your car and you can see how it will affect the monthly price you will pay instantly. The contract length on all Just Add Fuel® Telematics contracts are for 37 months. Before delivery you can cancel anytime by phoning us on 0800 083 3000. Once you have taken receipt of the vehicle you have 14 days to change your mind and cancel. You can hand the car back with nothing further to pay (subject to mileage and condition), upgrade to a new Peugeot or buy the car outright. You can see the amount this will be when you’re configuring your car. Does Just Add Fuel® build up the policyholder's no claim discount? Yes, for every year the policyholder has Just Add Fuel® Telematics you gain a coveted year of No Claim Discount, provided you don’t make a claim on your insurance. I have questions, how can I get in touch? We have live chat, phone and email support ready to help you. Live chat using the blue tab on the right, email us at info.uk@peugeot.co.uk or phone us on 0800 083 3000. The 108 is compact, chic and full of character. A fun way to get around town, its right up your street. Perfect for first-time drivers or as a stylish run-around, it's full to the brim with a host of features. Sporty and elegant 5-door hatchback offering an exhilarating drive. Innovative technology and great range of colour choices, ensuring you truly stand out from the crowd. The 2008 SUV is perfect for the adventurous who have an active lifestyle. Sharp SUV design, innovative technology and modern with efficient engines delivering driving pleasure for less. Instantly check eligiblity for Peugeot's Just Add Fuel® Telematics finance package below. Remember, insurance is included and can cover up to three drivers! The information you provide is not shared with anyone or stored and is used to provide you with an accurate quote. Can you provide a minimum of 2 years' No Claim Discount (NCD) that is issued in your own name and is not being used on another vehicle? Personal Contract Purchase. Terms and conditions apply. A guarantee may be required. Age restrictions apply. Finance provided by and written quotations available from PSA Finance UK Limited, Quadrant House, Princess Way, Redhill, RH1 1QA. Excess mileage charges may apply. Deposit may be required. Just Add Fuel® (JAF) is subject to status. All offers available on qualifying vehicles ordered and registered between 16/04/2019 and 30/06/2019 or until such time as they may be withdrawn by PSA Finance UK Ltd at its complete discretion. Minimum age 21, 25 or 30 on selected models, maximum age 75. Policyholder must have a minimum of 2 years NCD to use on the vehicle. All drivers must meet eligibility criteria including minimum 2 years’ full UK licence (non-telematics contracts only), driving convictions/claims limits. Payments will vary according to age, post code and annual mileage. The costs of insurance, servicing and Roadside Assistance are included within the monthly cost of JAF Passport for 3 years and are provided on a monthly pay-as-you-go basis and can be cancelled at any time without penalty or affecting the remainder of the JAF Passport contract. Applicable to Peugeot 108, 208 (excluding all GTi models), 2008 SUV and 308 (excluding GT Line 2.0 BlueHDi 150, GT & GTi models).